We offer comprehensive range of conveyor systems that find their applications as component automated distribution and warehousing. 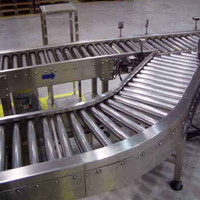 Our range of conveyors offers labor saving systems and allows large volume of materials to be moved easily and quickly. Some of our conveyor range encompasses belt conveyors, roller conveyors, screw conveyors, material handling conveyors etc. We offer belt conveyors that are widely used in the cement industry as bulk material handling equipments. Our range of belt conveyors are available both in horizontal and inclined positions. 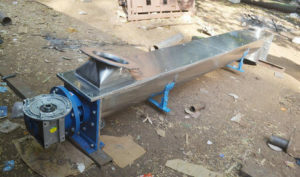 The pitch spacing in the belt conveyors depends as per the specification of customers. We manufacturer of used to handle packages and are in either gravity type (un-powered type) or powered (driven) type. This conveyors high quality powered roller conveyor that assure high performance and durability. They consist of sprocket thick walled rollers. The components of this product are designed to deliver heavy duty usage as well as flexibility.